I MAY have found my new equine partner. 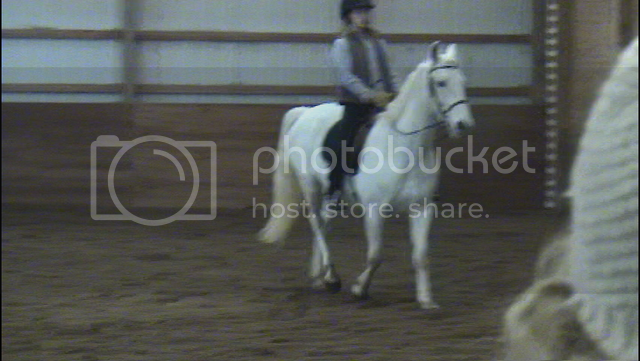 She is a lovely half saddlebred/ half lippizan mare out of Pluto II Dixana II and Effervescent Expression. 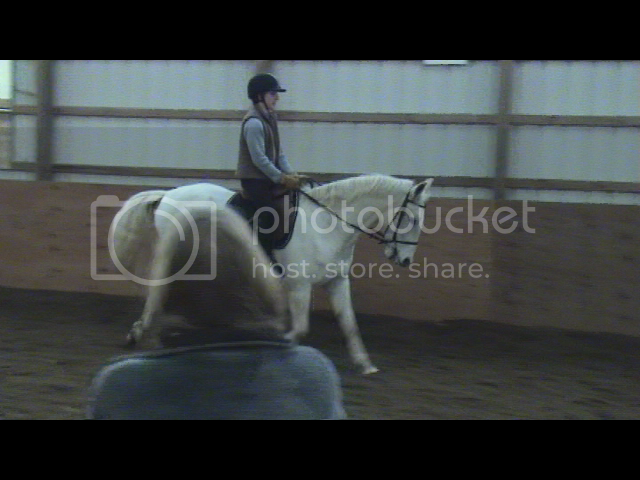 She is seven years old and was only started last year under saddle. She is as green as green can be, but has a wonderful willing attitude and is as sweet as sweet can be. My trainer and I have been out to ride her a few times now and she gets better each time. If I am lucky enough to buy her, we will have to begin slowly with a great deal of long and low work before we progress to any collected work. She has the potential to be an amazing project for me. As sad as I am that we had to retire Czar, I am looking forward to training this little girl. We are at the point where I have to wait for the pre-purchase to finalize the deal. If she comes up clean and healthy it's a go. If not, I have to start the long arduous process of screening potential mounts all over again. Please keep your fingers crossed for us on this one. I'm trying not to get too excited prematurely but it is really hard. If you saw her you would know why. I won't post any pictures of her until I know for sure that she is mine because I am afraid to jinx this! Ooh I can't wait to hear how everything works out! Good luck. That cross is sure to be beautiful. Out of curiosity which breed does she resemble more? Her face and legs look saddlebred. 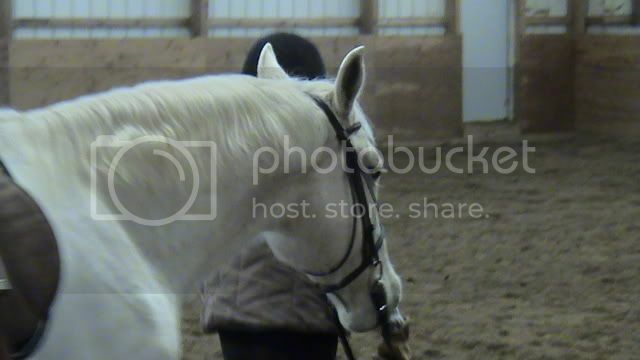 Her body and coloring is lipizzan.I posted her pictures on the dressage board. She is having her pre-purchase exam next Tuesday and then I will know for sure if she is going to be mine. If she passes she is a done deal. 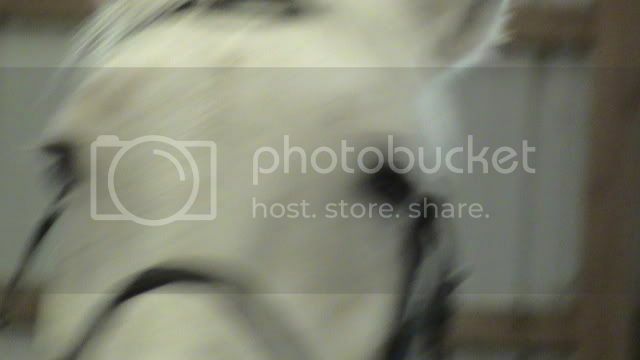 I just saw the pictures on the Dressage board, shes got a saddlebred head alright! Very pretty horse. I like the movements of both breeds. I included the last picture to show how outgoing she is-she decided to lick the camera! The pre-purchase is scheduled for Jan 8th (weather permitting). I am in knots of anticipation right now. My trainer is having trouble containing her enthusiasm too which is hysterical because she is notoriously stoic and during this whole process of horse shopping continually warned me against setting my heart on any horse until we knew for sure things were going to be absolutely what we wanted and the outcome was certain. She has secretly been showing the video we took of Angel to all her other students and showing her off! She sheepishly let the cat out of the bag to me on that one the other night. 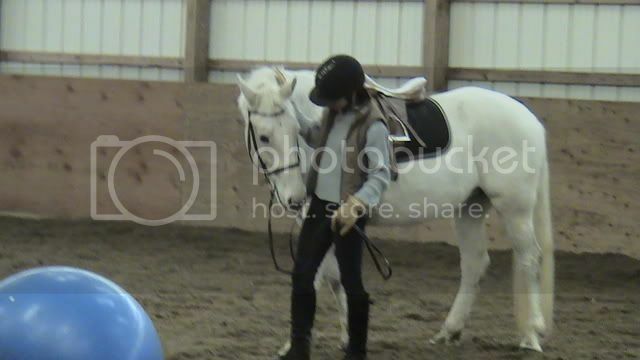 It made me feel good to know that even my trainer loves THIS horse. Now all we have to do is get past the p-pe. I hope all goes well for you and that she passes with flying colors. She is beautiful and with being part Lippizaner, you should have a great Dressage horse. By the way, what are you planning to do with her? We are going to spend the first year or so of her training working long and low so saddleseat is going to be on the back burner until about year three. I will probably show her in the hunters on the flat for a couple of years while she is learning her dressage basics. Then we will work on collecting her up a bit.